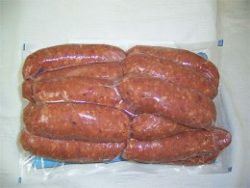 View cart “4oz Beef and Pork Hot Sausage 5lbs” has been added to your cart. 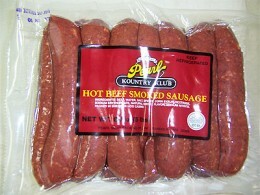 All Beef Hot Sausage: If you like HOT!! you have come to the right place.A blend of one hundred percent. 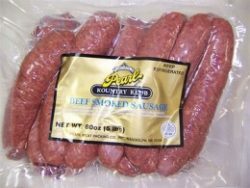 All Beef and our 2X Hot Italian Sausage spice smoked to perfection. 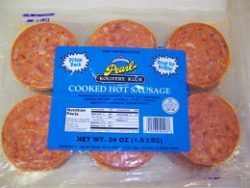 These are guaranteed to be HOT !!! 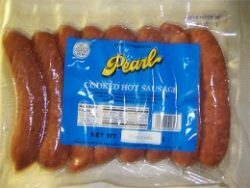 Pearl Meat 4oz Beef and Pork Hot Sausage 5lbs.